UC Master Gardener volunteers regularly offer educational lectures, hands-on workshops, plant clinics, and other programs throughout San Mateo and San Francisco Counties. Most of our classes and clinics are free; others charge a small fee to help support our program. Details can be found on the links at the left. New! You can now request a Master Gardener speaker. 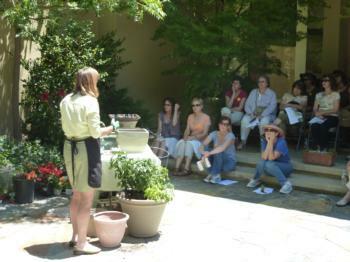 Does your garden club need a speaker for an upcoming meeting? Want to arrange a talk at your local library? We can provide knowledgeable speakers on many gardening topics.